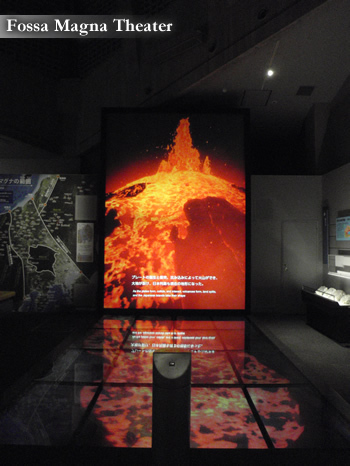 Completely renovated and reopened in March 2015, the new Fossa Magna Museum is divided into 6 permanent exhibitions on Itoigawa’s jade, the Fossa Magna, earthquakes, volcanoes, landslides, minerals and all features that make the Itoigawa UNESCO Global Geopark such an important part of the world’s geological history. Learn the breathtaking story of the birth of the Japanese Islands as told by the geological evidence found right here in Itoigawa! 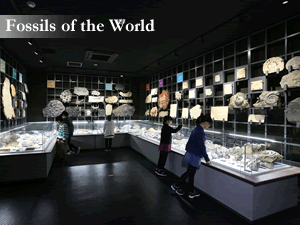 All museum exhibits are explained in both Japanese and English. 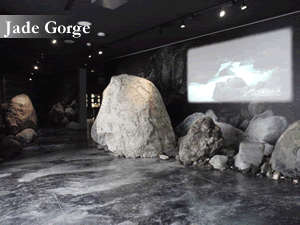 At the lobby’s Geopark Information Corner you can get the latest news and information about things to do and see in the Itoigawa UNESCO Global Geopark, making the Fossa Magna Museum an excellent first stop on a trip to Itoigawa. Children 18 and under receive free admission, so it’s a great place for families!